The tool that monitors and evaluates the treatments. Medipal is the tool that helps you as a caregiver to provide even better care to your patients! Medipal is the system for you, in health care, to easily and effectively facilitate the follow-up of your patients’ treatments over time and quality assure them. To easily and smoothly collect responses from structured questions via the patient’s own mobile leads to increased patient involvement and compliance. As a healthcare professional, you read the patient’s response in different graphs and trendlines and can follow the development in real time and thus more quickly act upon change. 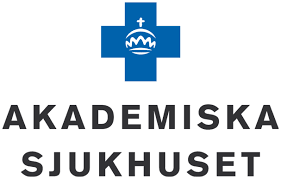 Pediatrician and Obesity specialist, The Obesity Unit for Children and Youth , The Academic Children's Hospital, Uppsala. The administrative work of the health care professionals is shortened, and the working environment is improved. Simple and easy to use for healthcare professionals. Via the mobile the tool asks questions and gets structured answers in real time. The patient’s response is presented in easy-to-read graphs. Data for groups of patients can also be compiled. As the patients become more aware of their symptoms and effects of their treatment, the patient-involvement increases, while they experience an increased quality of the care. The healthcare professionals will receive a better and more transparent decision-making basis when analysing the treatment, as the patient has been followed throughout the treatment process. Good for in-depth discussion with the patient. Time and effort effective by providing healthcare professionals with quick and easy monitoring and analysis of the effects during a treatment. The personnel follow the developments in real time and can thus act faster. All data is sent encrypted and the system complies with the high safety requirements of the health care. The Obesity Unit for Children and Youth, The Academic Children’s Hospital,Uppsala. Anders Forslund, Pediatrician and Obesity specialist at The Obesity Unit for Children and Youth , The Academic Children’s Hospital, Uppsala. Evaluation of a treatment is a challenge. As a pediatrician, researcher and obesitas specialist at Obesity Unit for children and Youth at the Academic Children’s Hospital in Uppsala, Anders Forslund tells us that Medipal can show in a very good and clear way how treatment, for example a new medicine, affects a patient. He can also follow how well the patient followed the treatment and how other variables like sleep, stress and other factors have has an effect. The Obesity Unit for children and youth have used Medipal since 2012, and regard it as an invaluable tool in providing high quality care and the right treatment. Treating children is often particularly difficult, and their age makes it not always possible to demand the same responsibilities as for adult patients. So much is happening in their lives that they may have difficulties in remembering or may not want to talk about their problem. Medipal is then a tool that children can easily and quickly use to respond of their treatment. The more mature children get their own way of communicating with the health care – not just through parents – to be able to influence their own situation. Medipal is a good support for a patient during longer treatments, according to the clinic where Dr. Anders Forslund works. – Patients (and we all) have difficulty in remembering subjective symptoms back in time. Imagine yourself, if I would ask you if you were hungry or stressed a certain day a week ago – chances are very small that you will remember. But with Medipal you have as a patient responded to it via the mobile and the answer is registered, so I and you, as a patient, can jointly see how it has actually been and also developed over time. Medipal can also trigger a more positive thinking and motivate children and adolescents, as they can see that even a small change makes a difference. A mobile phone is today the possession that both children and adults always carry with them. It is an important explanation, why the answers are answered to a greater extent with Medipal than by written questionnaires based on paper and pencil or via Web. “With Medipal, I can quickly, better and more accurately evaluate the treatments in an objective way,” concludes Anders Forslund. Spinal cord stimulation, Spinal Cord Stimulation (SCS), can be an effective analgesic treatment method for patients with nerve pain. Prior to a permanent operation of a spinal cord stimulation system, the patient may try the treatment during a test period, about one week, and then evaluate how well the pain relief has worked. A part of the evaluation consisted earlier of a follow-up telephone call with the patient and a validated questionnaire on paper. Since about two years ago, the Neuromodulation unit at the Pain Centre at Uppsala University Hospital, has combined the follow-up with the use of Medipal. We follow the patient’s pain for one week before the test period (baseline), during the test period and a few days after ending test period. This is done to be able to see if the pain decreases during the test week and then increases again after the stimulation is turned off. The patient should answer questions by the Medipal about two to three times per day. We also have a telephone-meeting during the test week. I and my colleagues see that the combination provides a much better overall assessment and decision support. The responses, which have been collected in real time via Medipal, will also be a good basis for discussion when to evaluate if the Spinal Cord stimulator is to be deposited or not. Medipal not only helps our clinic to evaluate the patient’s treatment better,but has also helped us to re-evaluate the effect of the Spinal Cord stimulator during the test period. In the past, we told patients that it takes up to 2 days for stimulation to have any effect, but by following the patients’ registrations in Medipal, we have seen that for several patients there is a delay with up to 4 days before treatment gives full effect. Therefore, we have changed our information to patients that they may have to wait four days instead of two to see the effect of stimulation. Most of our patients live outside Uppsala, and Medipal makes it also easier to follow our patients remotely. – A significant difference between validated questionnaires on paper and the questions via Medipal, is first and foremost that it has simplified my administration, because the patient does the job and I do not have to manually fill in all paper form in the Journal system, says Eva. The advantage of Medipal is that the patient only needs to answer the questions that we at the clinic consider to be relevant to the actual process stimulation, not other issues that are irrelevant to the treatment. The patient must answer a question to move on to the next, which means that all questions will be completed before they can be submitted, i.e. no response gaps occur. – By this way we avoid the problem of incomplete questionnaires,” says Eva Leljevahl. The Compliance increases with Medipal as well as the response rates. This means that the responses via Medipal provide a better basis for comparing, evaluating and improving the patient’s treatment and for using the answers for research. -Sometimes we have seen that patients say one thing and estimated something else via Medipal. Due to the immediate compilation of responses in the Medipal, we can go into more detail with the patients and more easily solve these problems. Patients think it is good that we evaluate, and that it is easy for them with Medipal, because they get the questions on the phone and reminders if they forgot to respond. 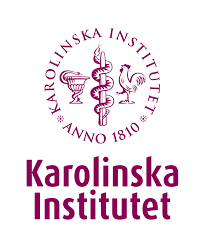 Department of Oral diagnostics and Rehabilitation, Institute of Odontology, Karolinska Institutet. Nikolaos Christidis, Docent, associate professor and senior dentist at the Department of Oral diagnostics and rehabilitation, Institute of Odontology, Karolinska Institutet. Nikolaos Christidis, Senior lecturer and Senior dentist, and his colleagues had for several years been discussing how to to develop a technique that makes it easier for patients to respond via the mobile phone to questions about their health. When they tried to develop their own technology, they discovered that such a system was significantly more complicated than they first thought. When Nikolaos heard about Medipal, he found the answer to what they would use as a follow-up instrument in their study of orofacial pain in children and adolescents. -Previously, we made evaluations via paper forms, which we asked the patients to fill in at every visit. Paper and pencil were not interesting for the kids, we had a hard time to get the answers. To use Medipal, a technical solution, made it easier to get the answers. Via Medipal, we have not only used our validated questions, which automatically come up every 6 months, but we have also put in questions, which we asked the patients to respond to daily during the first 6 months. The patient is also followed for one week before a return visit with daily questions. In this way, we get several answers that tell how the patient really feels comparable with responses from one single time, which can vary much depending on the patient’s mood. ̶ Medipal has raised the quality of our evaluations by getting more data than before. In principle, the response rate is almost 100 percent, as patients receive SMS reminders. He points out that the use of Medipal has led to an increase in the quality of their evaluations. The patients at Pain Clinic in Huddinge covers everyone from teenagers to people who have been retired for many years. 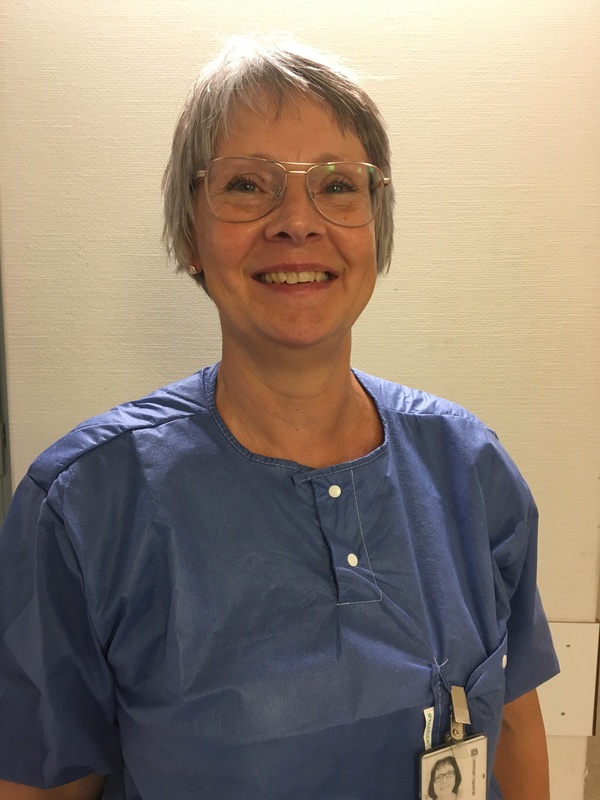 Agneta Heller, nurse at Pain Clinic Karolinska University Hospital, Huddinge, believes that the good user-friendliness is a crucial explanation to why patients really use Medipal, mainly regardless of age. -Our patients, who are less than 65 years of age, have all thought that it has been easy both to install Medipal on the mobile phone and to use it. When I’ve helped our oldest patients to install the app, they’ve also experienced that it’s easy to use. Medipal is an excellent tool for pain patients with various problems. No one has forced them to use Medipal, on the contrary, they have experienced themselves as more seen and known which they contribute to the society when they respond. ̶ Both healthcare professionals and patients have been very interested in using Medipal, says Agneta. When staff at reception were to evaluate Medipal, if we were to continue or not, everyone (100%), both doctors and nurses, chose to continue using the system. -The health care must improve the follow-up of the treatments we do. We simply need to be better at evaluating the treatments we have used and have them quality assured. We used to call our patients sometimes a week, and thought we had a good control over the patient’s situation. But we were also able to see that the patient’s daily registrations in Medipal contributed to increased knowledge about the patient’s situation in everyday life. Patients forget and sometimes cannot distinguish between problems related to treatment or other problems. Sometimes a patient can have severe side effects from a medication and do not notice that they get a little better, because the side effect at the time is a big problem. But with the help of Medipal, we can show them results at an early stage and they will then be more positive to continue the treatment. It is important to be able to ask different questions to individual patients and there is Medipal a help. Since the Pain Clinic at Karolinska University Hospital in Huddinge started using Medipal together, the evaluation of medications and treatments has become easier to implement for the healthcare professionals and the patients. For patients, Medipal is a convenient tool for registering side effects and in this way inform the care. The automatic compilation allows patients and healthcare professionals to see what patterns are existing when they together go through the compilation, for example, to see that a side effect occurs daily at the same time. Thus, there is a relevant basis for determining whether there is a need to adjust or change the treatment. It is part of helping the patient to achieve as high a life-quality as possible. When weeks or months go between follow-ups, Agneta feels that it is invaluable to be able to see the compilation of the patient’s response in the Medipal system. -The patient easily forgets how she/he was feeling a while ago, if she/he had pain, was feeling ill or how she/he slept. But with Medipal, I and the patient together can go back and see how it was, which will be a good basis for our discussion, says Agneta. ”Medipal is a very good support in my daily work and I have used the system on several hundred patients. The resulting graphs gives me a good overview and control of the patient's situation. for more thanen god översikt och kontroll över patienternas situation. The greatest benefit is the increased compliance by the patients. 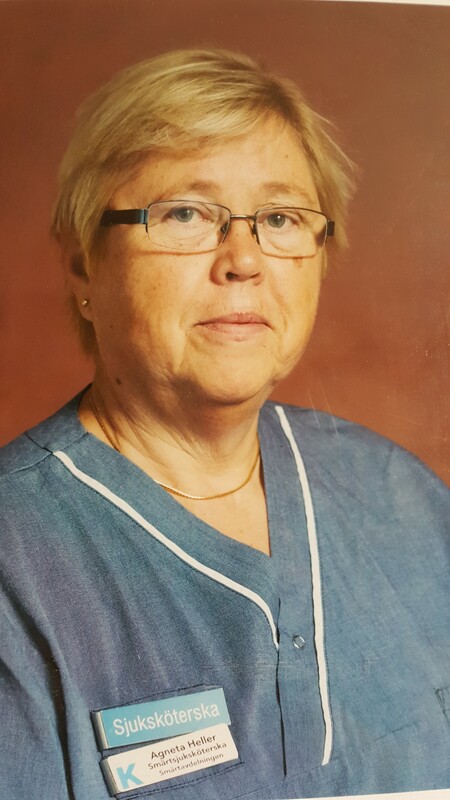 Anna Ståhlfröjd-Hös, pain nurse at the Rehabilitation Clinic, Sunderby Hospital, Luleå. "We always ask questions to our patients, so we can identify and follow symptoms and treatment, but we don't really know how it is in the meantime between visits. That’s where Medipal help us. " 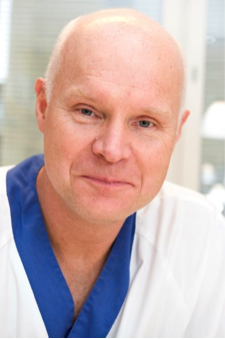 Anders Forslund, Pediatrician and Obesity specialist, the Obesity Unit for Children and Youth, the Academic Children’s Hospital, Uppsala. The need to evaluate treatments is huge. A clear strength of Medipal is the flexibility of the tool and that it can be used independently of diagnosis. The areas of application are many and Medipal are used today in several diverse areas of activity. The coverage of the areas of care is great; such as pain, obesity, diabetes, neurology, mental illness, neurosurgery and research. Medipal has then been used for drug follow-ups, to evaluate the efficacy of a given treatment, to monitor the patient before treatment, or to trigger a change in a patient’s behaviour for prophylactic purposes. Several research studies have also evaluated the use of Medipal as a tool. Medipal makes it easy for the healthcare to map the patient’s treatment via mobile phones. Medipal is much more than a modern patient diary, it is the tool that automatically and in real time gives the health care a relevant decision basis. 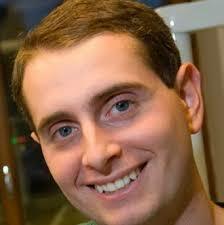 The tool has a battery of questions that covers several treatments in different diagnoses. We have endeavoured to make it easy for the care to add specific questions based on the individual patient. The tool is well tested in clinical activities and research. It has been used by Karolinska Hospital, Stockholm University Hospital, Uppsala University Hospital, Sahlgrenska Hospital, Gothenburg and Sunderby Hospital, Luleå to name a few of our customers. The adherence is increasing as people today almost always have a mobile phone, and patients also receive SMS reminders, which helps to increase the response rate. By allowing healthcare professionals to save time with Medipal’s automatic data compilation, the staff will be spared a time-consuming moment. Medipal streamlines the administration in several ways, for example, you avoid the filling in of manual forms into the journals. This will allow more working hours spent on patients by health professionals. Medipal is used in the country’s largest hospital and also in many smaller institutions. The number of customers is constantly increasing. Medipal sees as its task to provide the medical community, teams and clinicians with increased efficiency by helping them collect data from their patients and use this data operatively in their daily activities and at patient meetings. By continuously providing feedback on the effects of treatment, healthcare professionals are more able to optimize and individualise treatment. This leads to increased participation and patient adherence and more equitable healthcare. Medipal is a smooth and powerful support in clinical studies. The platform is mainly used in applied research, to find out what effect an action has or how reliable a diagnostic method is. For the pharmaceutical industry, it is important to have a rapid and continuous insight into how the company’s medicines are used and functioning. Increased compliance is important for everyone.